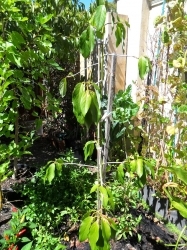 The extreme hot weather in Adelaide has burnt all the leaves on my dwarf nectarine tree. What should I do to help it recover or is it a lost cause? 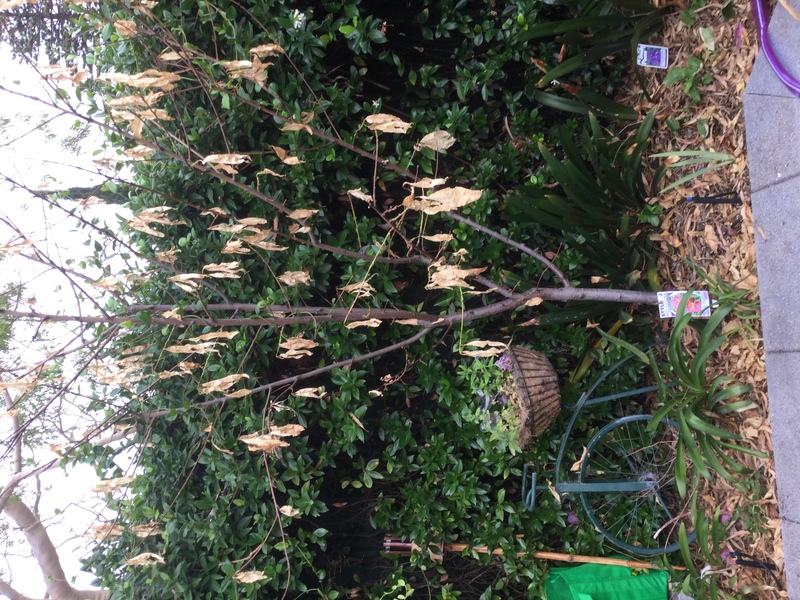 I’ve given it a deep water, and I’m considering pruning it, is this the right course of action or will it just hasten it’s demise? Those leaves look very very dry. I would check if the wood is dead or alive. Starting as high up as possible, scrape or nick the bark and see if its still green underneath. If not go lower till you find green, or not. If green ie alive it should sprout some leaves this year, but may not fully recover till it flushes next spring. It looks like there might be some green twigs? Im not sure I would prune, it should fully flush from green wood next season, if not sooner. I would also check the root ball of the tree, to see if damp, or completly dry. Its still early in summer, so consider protecting from sunburn till the leaves grow back.